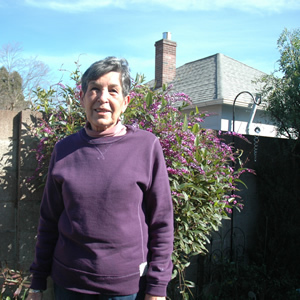 For this week’s edition of Stories from The Point, we meet with one of our neighbors, Dee Rosier, who has lived in Point Richmond for 53 years. In her audio postcard we get a wonderful glimpse of Dee’s sense of humor, her caring personality, and learn a bit about her background. It was a pleasure to listen to her stories, but they left me with a bit of a challenge – which stories do I share!? I opted to do a little of everything, just like a postcard from a friend would be. We will most likely hear from Dee again because she is a wealth of Point Richmond history. Actually, Dee does volunteer with the Point Richmond History Association and you can visit them online at: www.alkos.com/prha. I hope you enjoy this week’s episode. I love to get feedback so please be sure to leave a comment after listening.